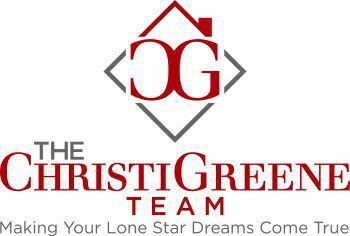 It is the mission of The Christi Greene Team to consistently provide the highest quality, most innovative and exceptional real estate experience available anywhere in the DFW Metroplex. Our operation is a great place to work and do business. We are positive, helpful, and enthusiastic– always focusing on solutions, not challenges. We take care of business first and foremost, AND have fun and enjoy ourselves in the process. We make the transition to your next home as seamless as possible – by handling the worry for you. The Christi Greene Team strives to show Gratitude in all things we do. The symbol for gratitude is a never-ending circle. To be Grateful is to find blessings in all that surrounds you. A truly Thankful heart will bring light into your life and peace to your soul. Christi, founding partner of The Christi Greene Team, based in Coppell, Texas is a real estate veteran and has represented hundreds of buyers and sellers in real estate transactions. Christi has grown a great team of agents to continue to helping families with moves in the area. Christi specializes in applying her expertise and market knowledge in guiding clients through the real estate process. In addition to being an active volunteer in her city, school district, and church, she and her daughter are also active in National Charity League. Christi has been on the Board of Directors at MetroTex Association of REALTORS and is a graduate of the MetroTex Leadership program. Christi graduated from Texas A&M with a degree in Agricultural Economics and a Masters in Adult Education. Christi spent almost 10 years in the corporate world in large corporations and then transitioned into a small medical billing service before getting her real estate license in 2005. Katie Edwards has been in the real estate business for over 8 years, with 4 of them serving as Christi's Closing Coordinator. In 2016, Katie left Corporate America to join The Christi Greene Team full time as the Director of Client Services. Her background in customer service, quality assurance, and business and project management ensures our clients are taken care of. Katie is also a licensed realtor and her knowledge of the business and years of experience bring so much to our clients and the services we provide through the listing and buying process. When Katie is not in the office or assisting a client, she enjoys watching movies and spending time with friends and family. Her son also plays hockey, and the spend a lot of time at the rink and enjoying his games.